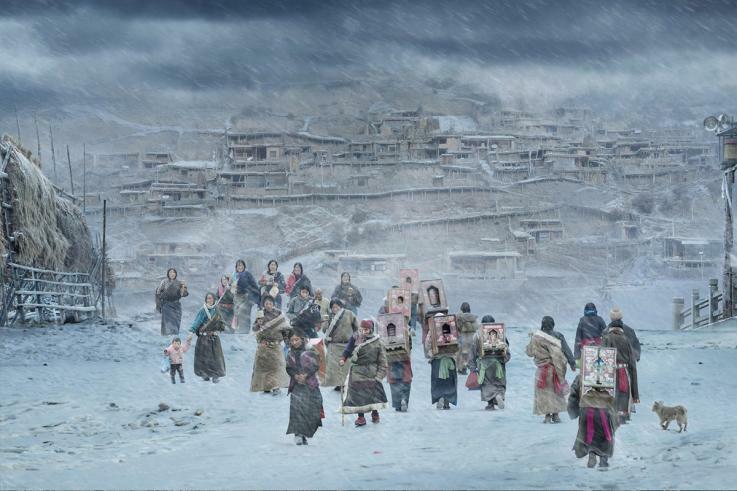 The winners of the 2018 Travel Photographer of the Year (TPOTY) awards have been announced, shining a light on the year’s best travel photography from over 140 countries. 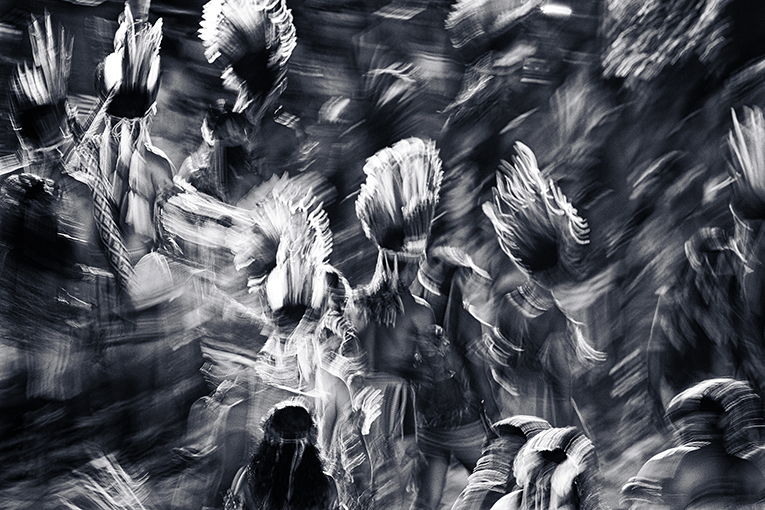 Italian photographer Stefano Pensotti was declared the overall winner for his stunning set of images from eight different countries, including Ethiopia, Georgia and Myanmar. 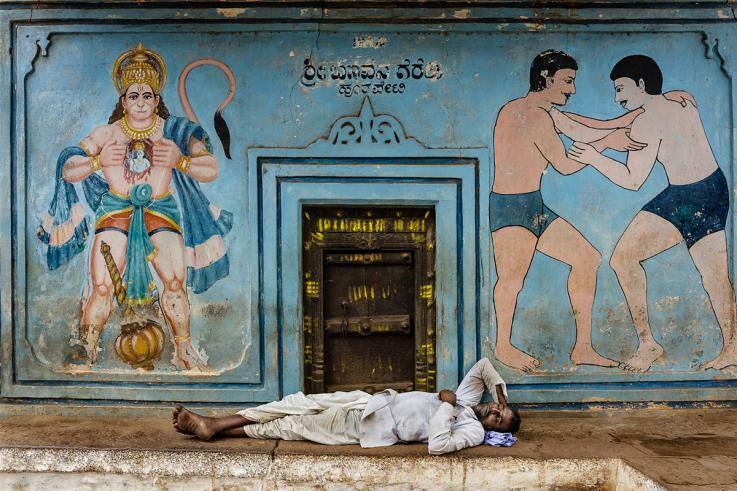 His photos often show observational, intimate moments from daily life, from a man taking a nap in India to a scene of religious devotion in Senegal. 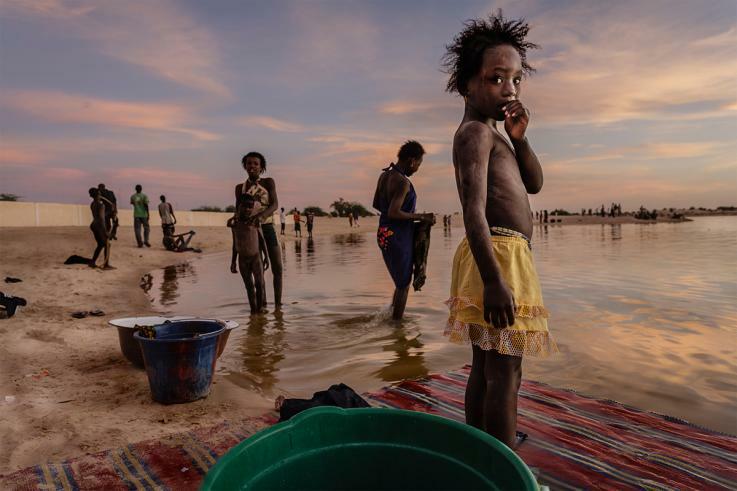 Matjaz Krivic of Slovenia won the ‘Travel Portfolio’ category with his images, which mostly show daily life in Africa and the Middle East. 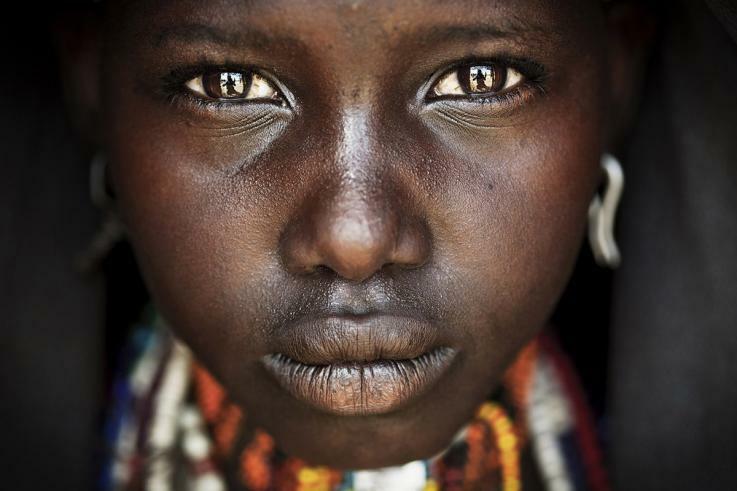 In one, a teenage girl from the Ethiopian Arbore tribe stares into the camera with an ambivalent, shining gaze. 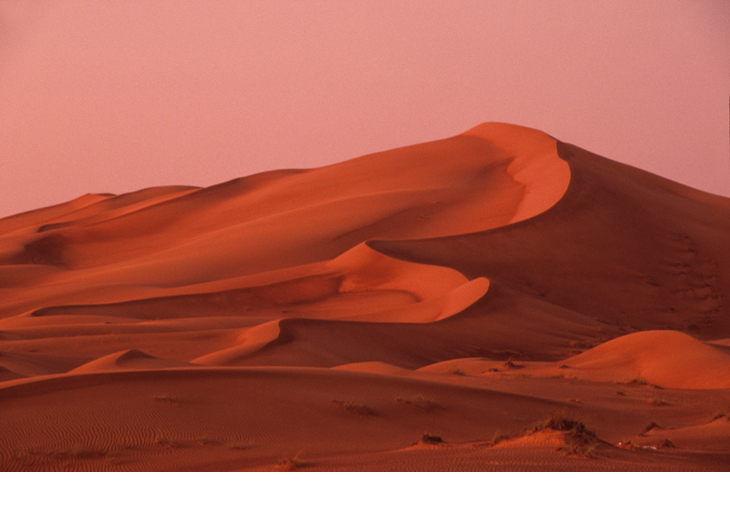 Other competition categories include ‘Young Travel Photographer of the Year’ and ‘Hot/Cold’. 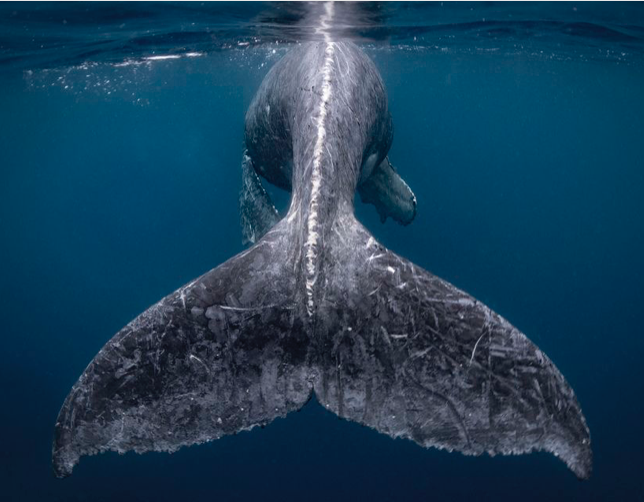 Prizes include cash bursaries, professional cameras and lenses, Arctic voyages and membership of the Royal Photographic Society. 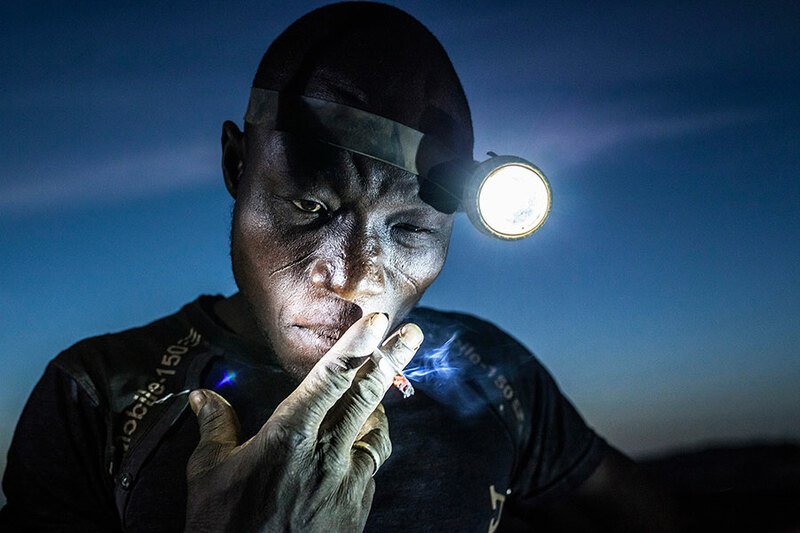 Winning images from this year’s awards will be exhibited in Spring 2019 both across London and internationally. 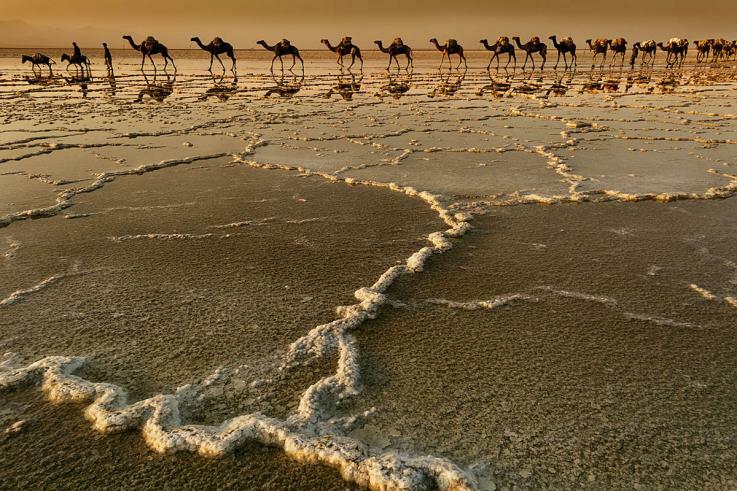 Travel Photographer of the Year was started in 2003 by professional photographer Chris Coe, and now receives over 20,000 entries from photographers in 22 countries. 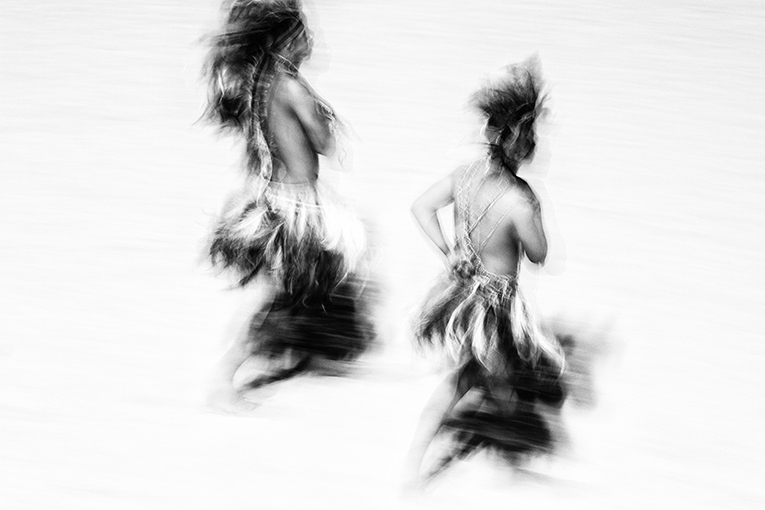 This essey only includes a selection of some of this year’s stunning competition highlights, which show the scope and creativity of travel photography today. 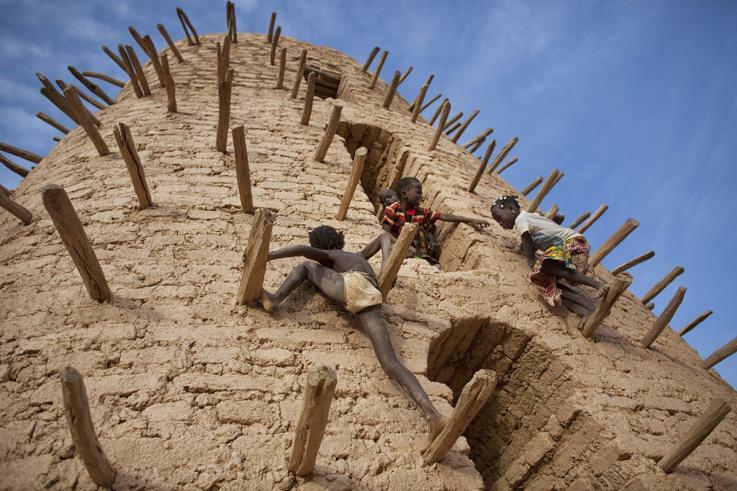 In the last light of day the inhabitants of Timbuktu wash their clothes and take a shower in the port of Kabara. 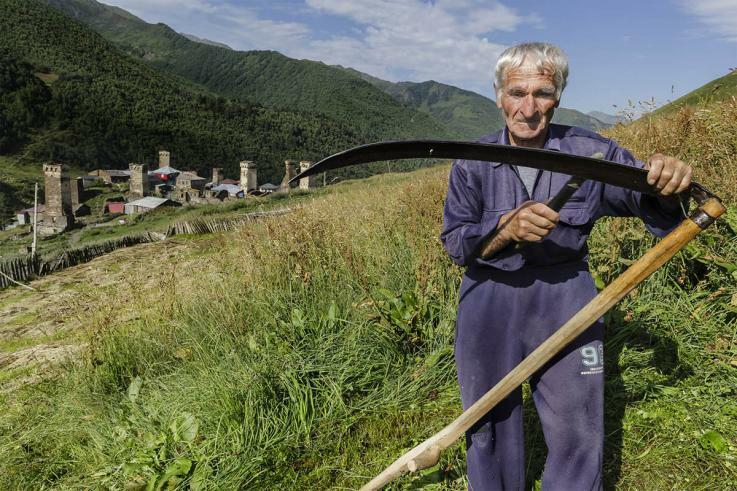 Hay cutting in the meadows above the tower houses of Murkmeli. They loaded the salt from the Dankalia open-air salt mines at -50m. 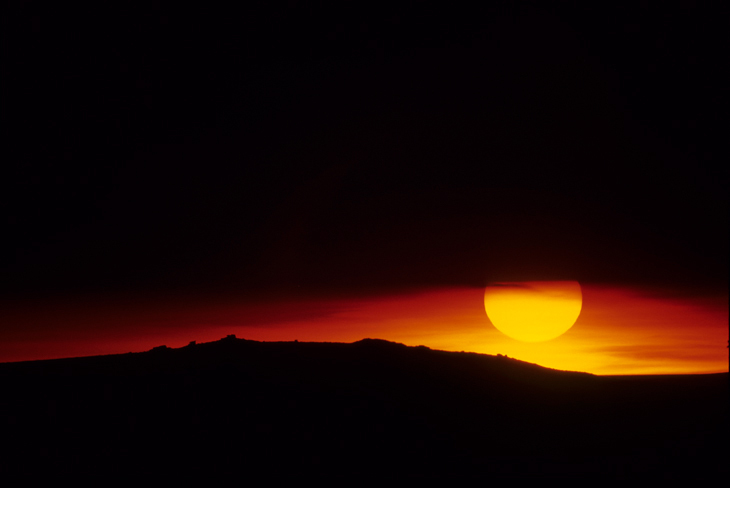 Their journey will lead them to Agula on the Ethiopian plateau at 2400m. 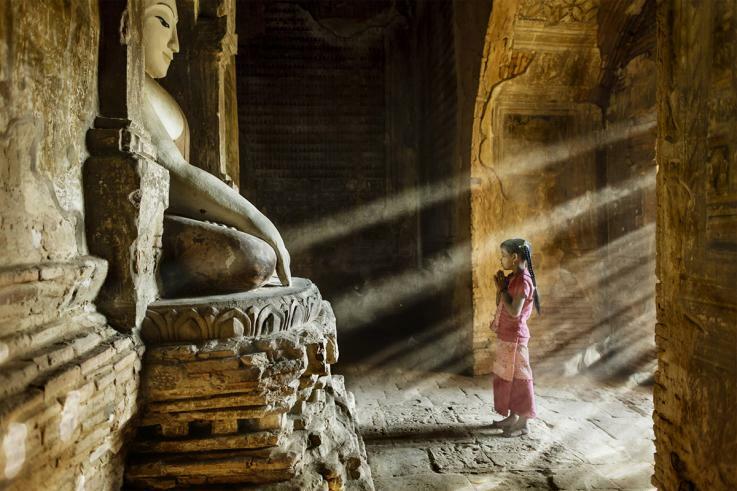 Prayer time in one of little temples in the plain of Bagan - a young girl stops on her way to school. 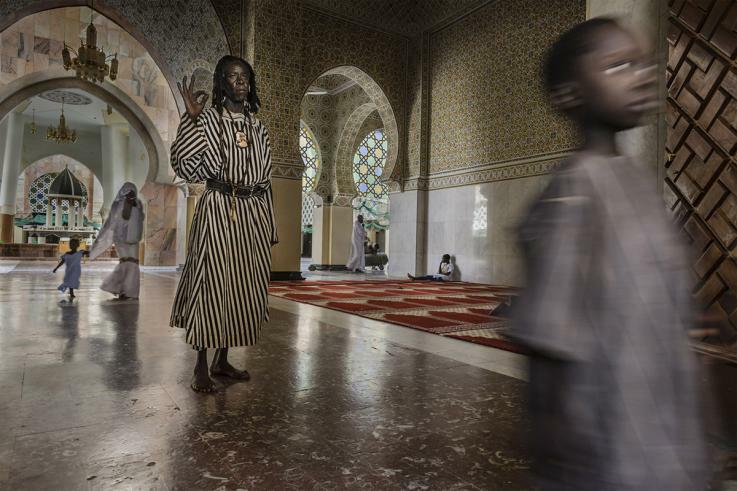 A member of the Baye Fall in the Touba Mosque. 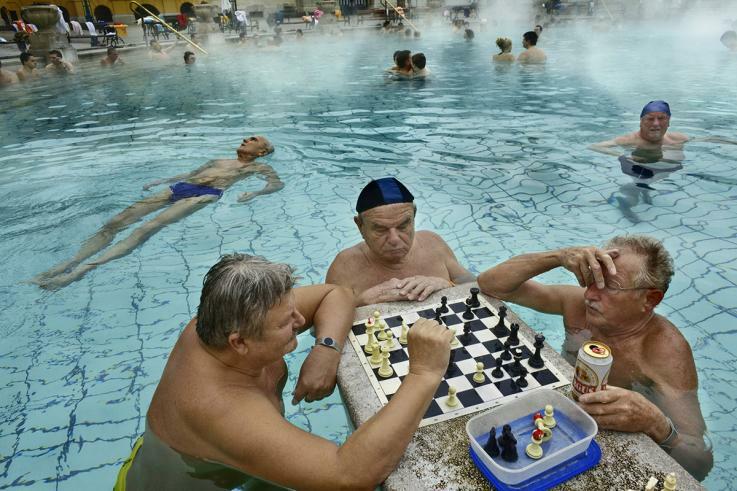 Széchenyi Baths, built in 1913, is the most popular the inhabitants of Budapest who come here to relax with friends. A moment of relaxation in front of the entrance to a gym for wrestlers. 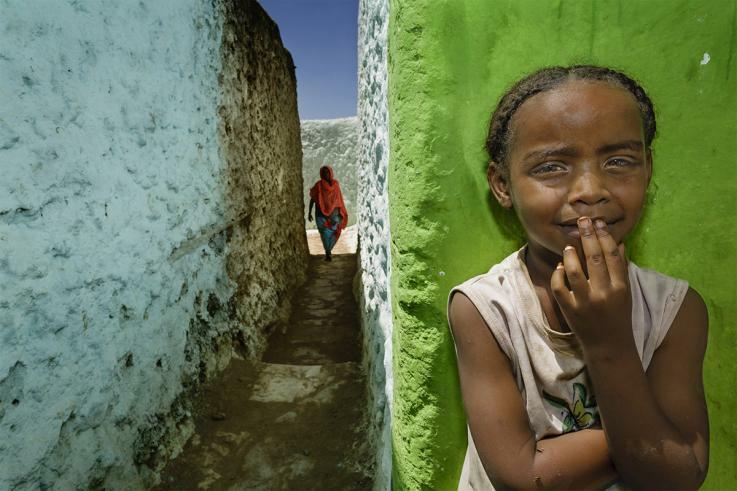 Walking through the fortified historic town of Harar Jugol, considered the fourth holiest city in Islam. 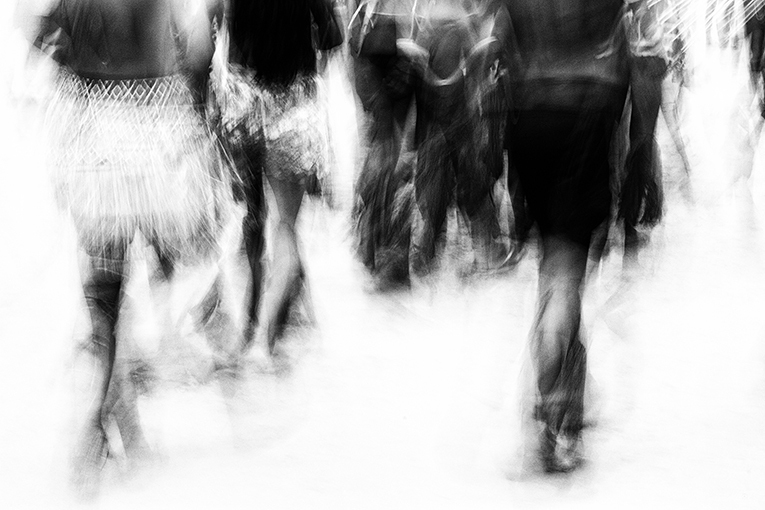 In Tanzania, when you have albinism, you are thought to be evil. There even is a price on the head of children with albinism since killing a person with albinism is considered to bring good luck. 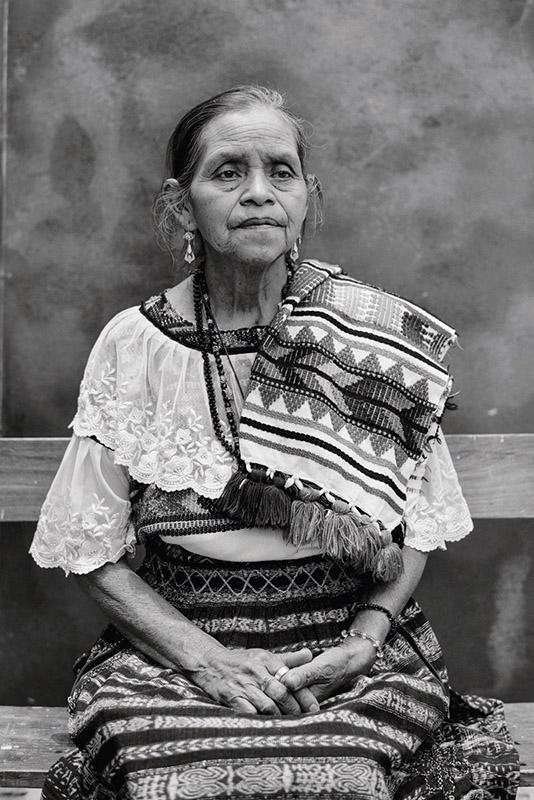 Mayan woman from Santa Lucía Utatlán, Guatemala. 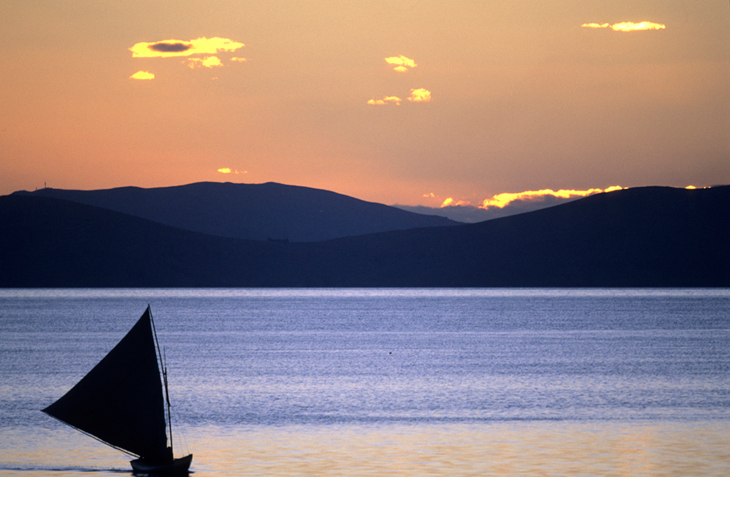 The designs from this region incorporate colorful geometric patterns and bird motifs. 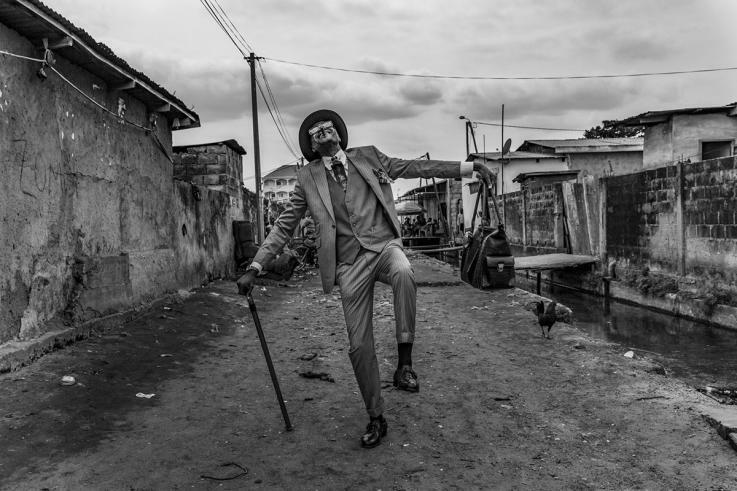 Elie, 45, struts his stuff in the streets of Brazzaville. 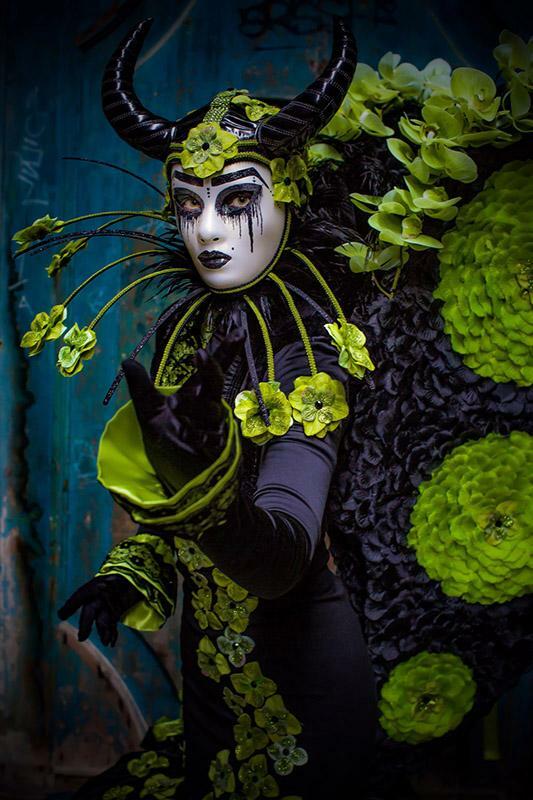 He has been a Sapeur for 35 years and his elaborate outfits bring joy to himself and his community. 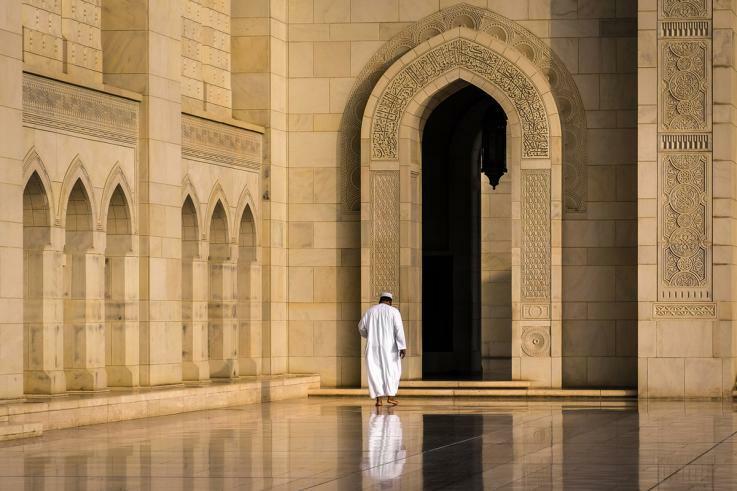 The Sultan Qaboos Grand Mosque in Muscat, Oman, is an awe-inspiring building in every way, fully deserving its status as an icon of modern Islamic architecture. 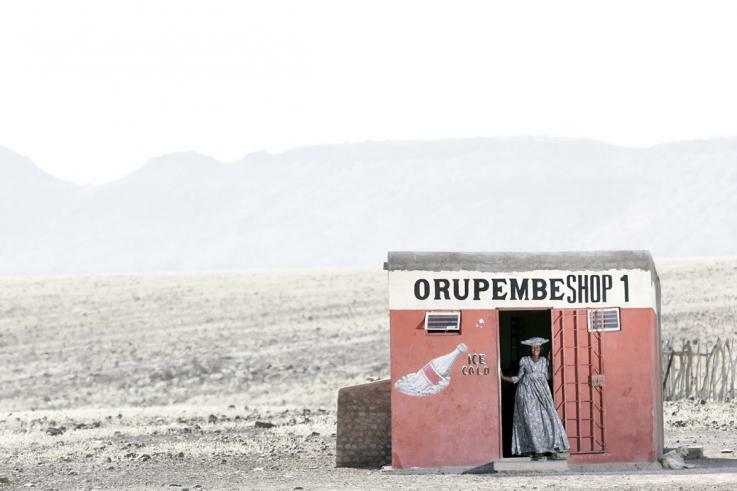 In the vast wild expanses of Namibia, there is not much in the way of civilization, but where there is it will be in the form of a small shop where basic supplies and alcohol can be bought. 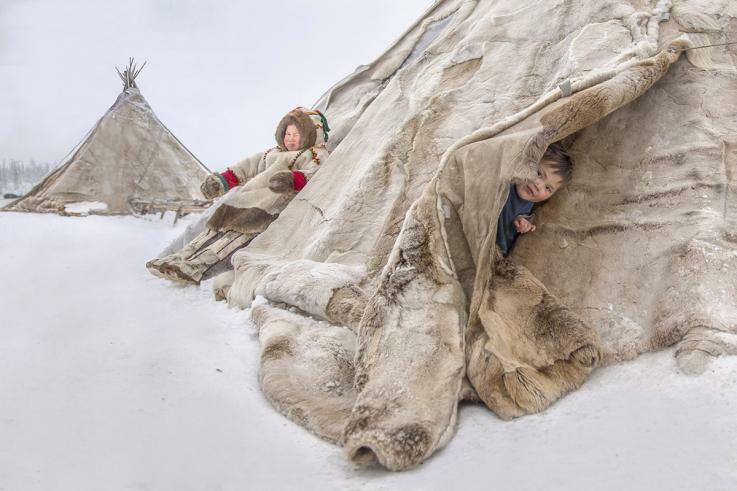 The ‘chum’- the Nenets’ dwelling - is as mobile as they are. 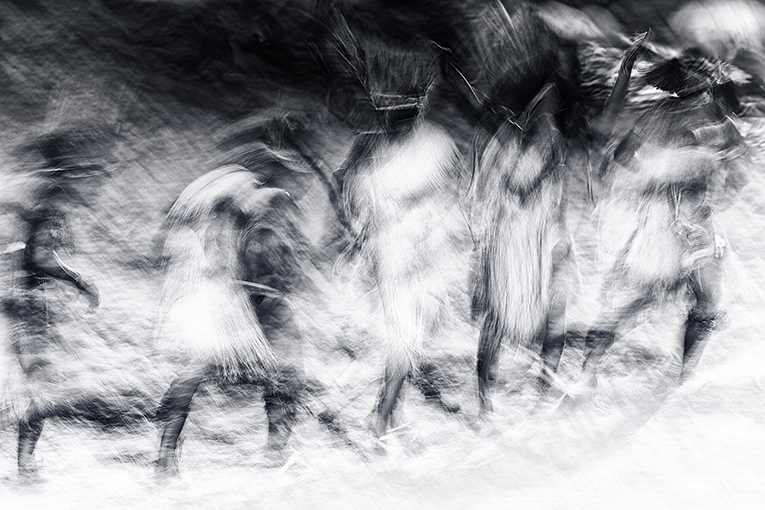 It consists of long sticks, and stitched reindeer skins stretched over it. 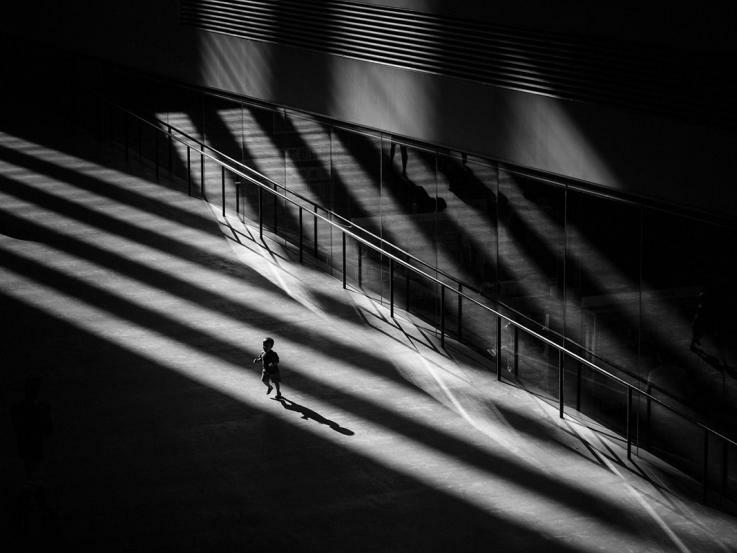 A child runs around whilst bathed in rays of sunlight in the Turbine Hall. 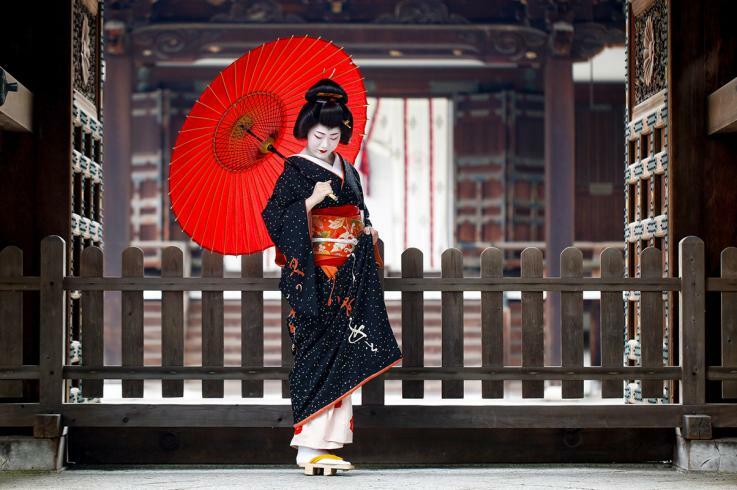 The Geiko Tomitae, at the gates of her ancestral temple. We come here every time I come to Kyoto. 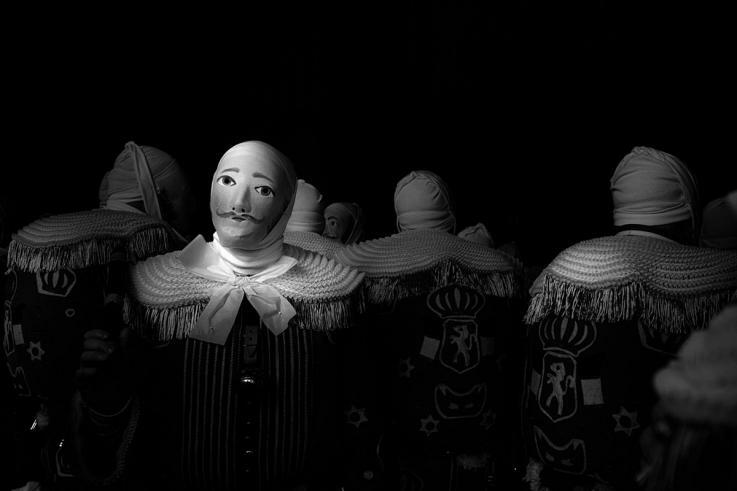 Gilles proudly dance with their specific masks to conquer the bad spirits and welcome Spring. 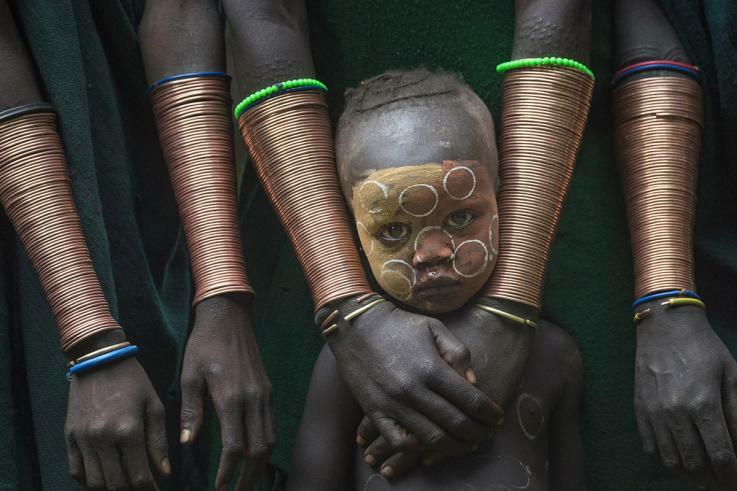 Onno, a teenage girl from the Arbore tribe. Kids playing on the main minaret of the Grand Mosque in Bani during Eid al-Fitr. 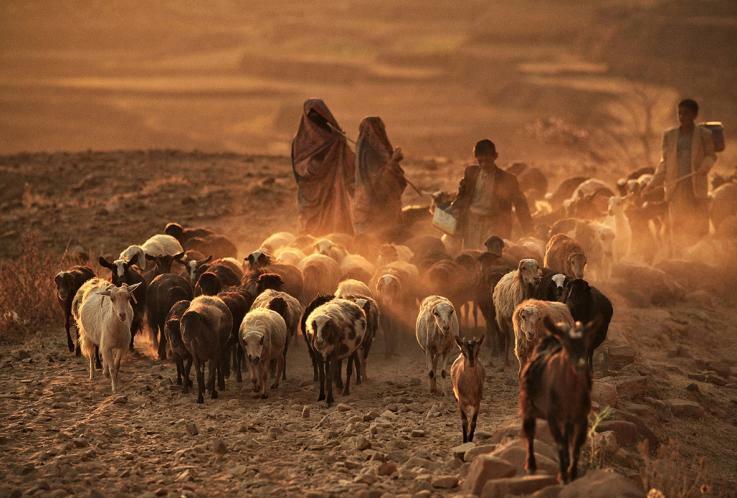 In Yemen, although the government provides for compulsory, free education for children ages six through 15, a lot of children in remote, rural areas become shepherds at an early age and never learn to read and write. 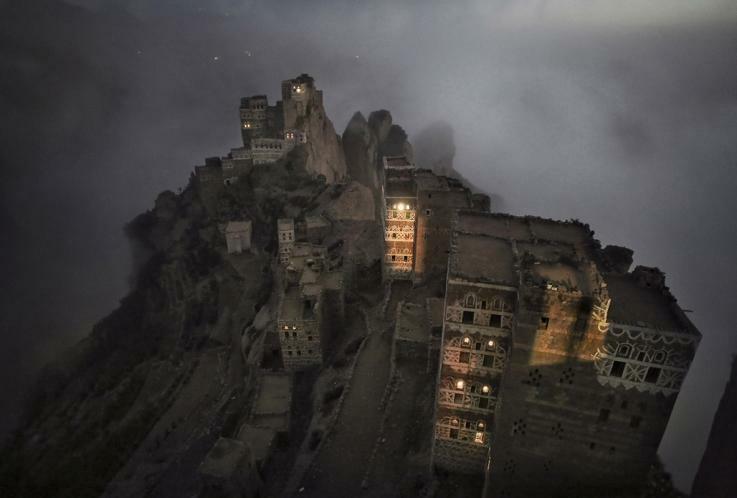 Morning mist rises mystically from the valley towards the small Yemeni village of Shugruf in the Haraz mountains. In a local akhara (wrestling school), local boys are doing their training. 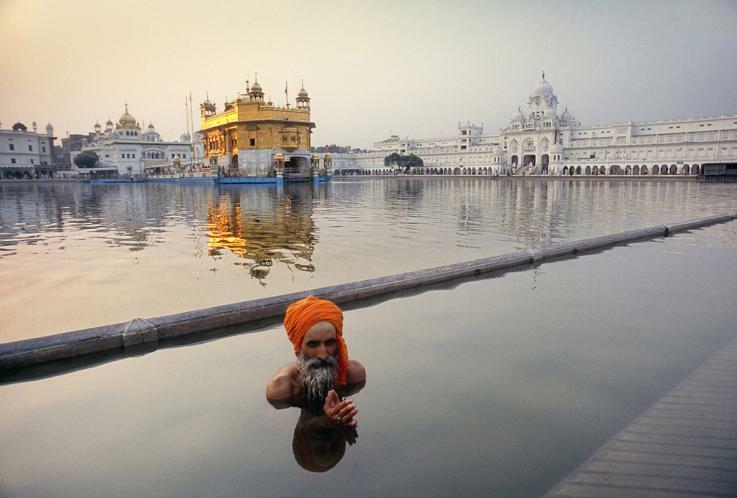 A Sikh pilgrim performs his ritual washing in the lake with the most famous place of worship for the Sikhs in the background. 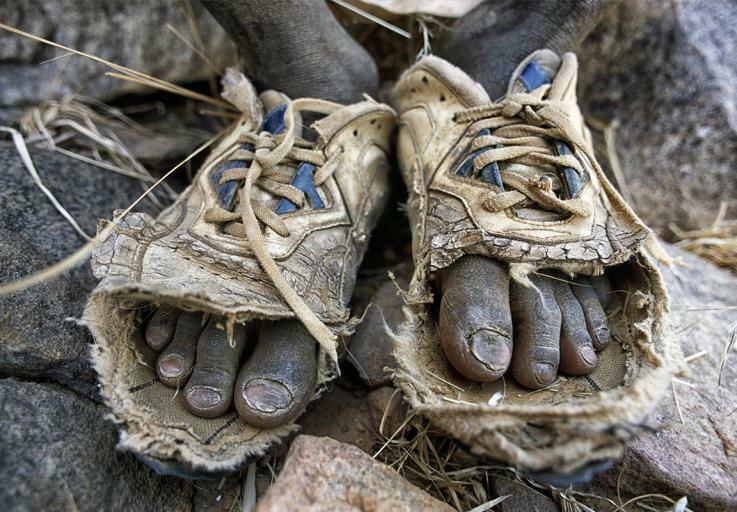 This boy’s only shoes were no longer wearable. With a sewing needle that I always carry with me and some dental floss, we patched them up. 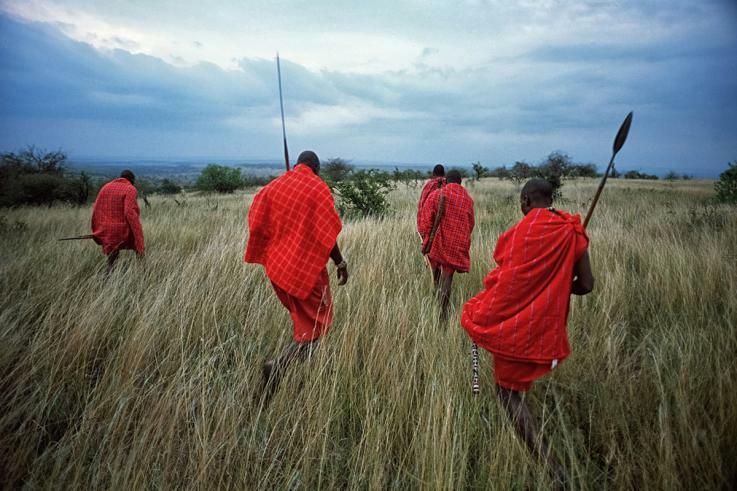 I walked through the savanna with the Masai, I took this photo when we were surrounded by ten lions stalking through the dry savanna grass. 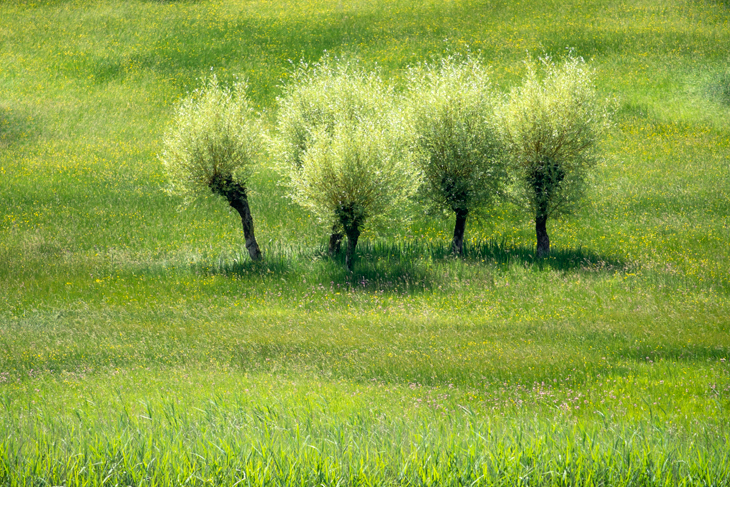 The local people who walked on the pilgrimage road were pious and pure. 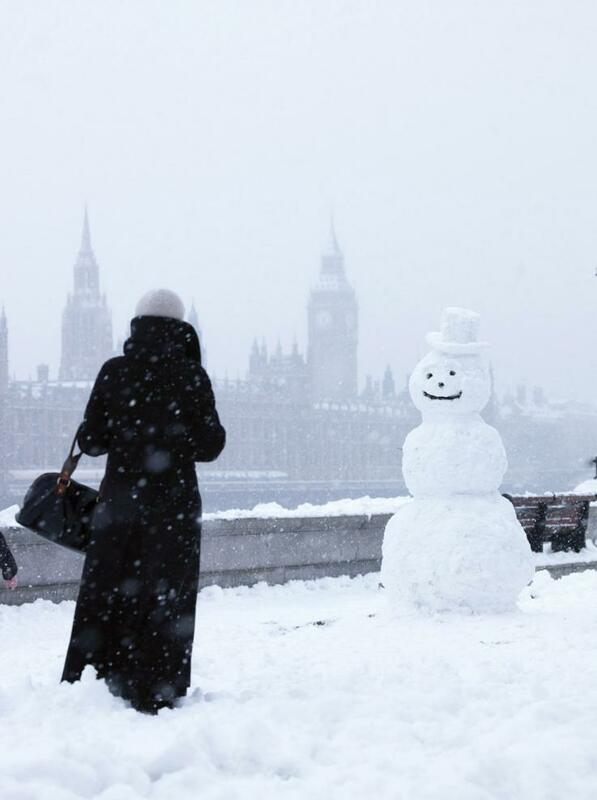 Snow seldom lays around in London, but when it does people make snowmen all over the city. 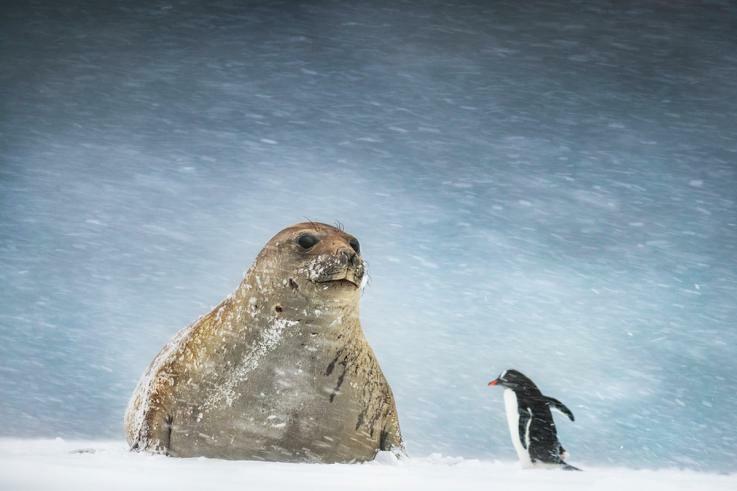 This photo of an elephant seal and Gentoo penguin was taking in near-impossible shooting conditions. By the time I had finished I was more or less buried in the snow and absolutely frozen as I can’t work a camera with gloves on so had removed them earlier. 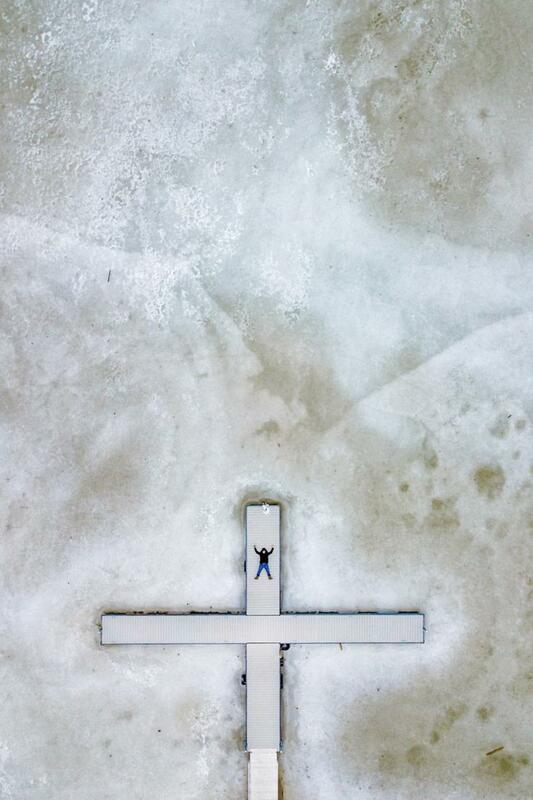 What better way to swim your way to the summer than lying on the boat ramp of a frozen lake and taking a drone selfie (dronie)?